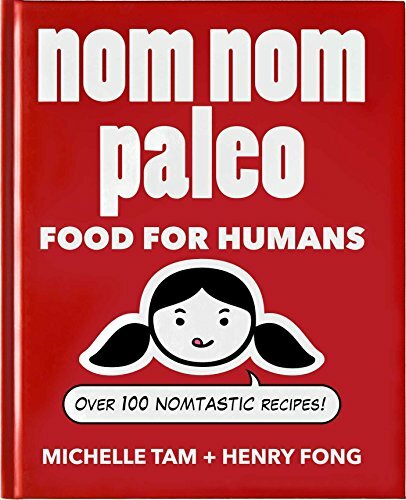 Authors Michelle Tam and Henry Fong, creators of the acclaimed Nom Nom Paleo website, have cooked up a visual feast, with more than 100 fool- proof Paleo recipes and over 900 step-by-step photographs and cartoons. There's something for everyone here, whether you're a busy mom, a triathlete in training, or a lifelong foodie who's curious about the "caveman" approach to eating. The heart of this book is Michelle's award-winning recipes, which The Kitchn has heralded as "often Asian-influenced, often California-inspired, and always popping with flavor." Building blocks such as Paleo Sriracha, Magic Mushroom Powder, and Paleo Mayonnaise lay the flavor foundation for many of the dishes in the rest of the book, including Walnut Prawns, Eggplant "Ricotta" Stacks, and Devils on Horseback. You'll find everything from down-home comforts like Yankee Pot Roast and Chicken Nuggets to the exotic flavors of Siu Yoke (Crispy Roast Pork Belly) and Mulligatawny Soup. These pages contain everything you need to maximize flavors and save time in the kitchen--all while transitioning to a real-food Paleo lifestyle. I was up with insomnia from jet lag after a trip to Turkey. What better way to kill early morning hours than to spend time making some breakfast. I opened the fridge, saw, eggs and jarred pasta sauce. I immediately remembered the recipe from Nom Nom. I made a few subs: olive oil instead of ghee, no onions, no mushrooms, chicken sausage (precooked) instead of Italian pork sausage, sumac blend instead of red pepper flakes. The baking time seemed off, it took far longer—at least 20 minutes. I overcooked a bit. The yolks ended up hard instead of runny, but my aim was to cook the whites all the way through. The recipe is EASY and DELICIOUS. Cilantro to serve. Sumac FTW!